Leading Manufacturer of cowpea seed from Anand. 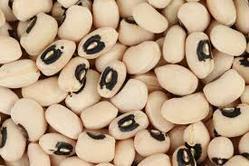 We are engaged in offering our esteemed customers high quality Cowpea Seed. Our provided seed is precisely processed using cutting edge technology by our adroit professionals in compliance with the industry standards. The offered seed is tested against various quality measures so as to maintain its quality. Furthermore, we offer this seed in variegated packaging options at pocket friendly prices.